A former homeless couple, a youth project leader, and the pioneer behind a debt-advice counselling centre have been announced as the winners of the 2013 Inspire Award for unsung Christian heroes whose work has helped to change lives in their communities. 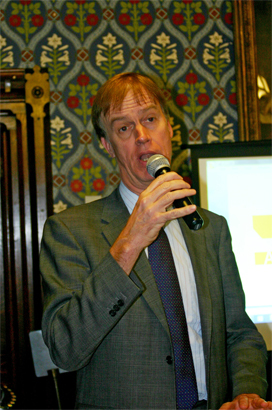 The winners were announced at the Palace of Westminster yesterday (28 November) by shadow employment minister Stephen Timms MP, Evangelical Alliance general director Steve Clifford and Inspire magazine editor Russ Bravo. Carol and Len Fowler, who were once destitute, opened The Well Centre in Blackpool, Lancashire for the homeless 10 years ago. It has since expanded and is now helping hundreds of people every year. They are the unsung heroes of the year in the Inspiring Project category (this now has a video feature on the BBC News website). Hannah Gibbons, an award-winning financial adviser, is the winner in the Inspiring Individual category for her work in setting up and running the CAP (Christians Against Poverty) Centre that Gillingham Community Church, Dorset, had been longing to start. Since its establishment in 2008 they have helped more than 400 people, some of whom were at their wits end. In Bournemouth, Dorset, The Shine Project which helps teenage girls with problems of self-identity is the winner in the Inspiring Youth/Children’s Initiative category. The youth programme is in big demand by schools across Bournemouth, Poole and Christchurch requiring it to put on more programmes to cope with the demand. 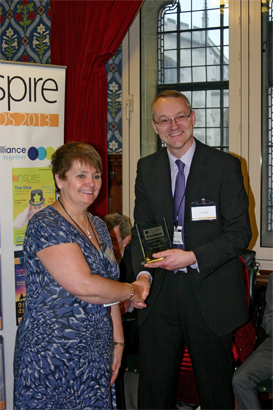 The Inspire Awards have been running since 2008 and are run in partnership by Inspire magazine, CPO and the Evangelical Alliance, assisted this year by YFC (Youth for Christ).